It was during this time she became interested in Japanese textiles and in particular those of the kimono. Leanne would spend most of her spare time visiting textile merchants and exploring temple markets or learning handicrafts with local artisans. Whilst living in Japan, Leanne was constantly inspired by the extreme contrasts around her. This interesting mix of the new with the very traditional is her inspiration for textile creations that combine new and vintage fabric, traditional and contemporary design. Living again in her home of Melbourne, Australia, Leanne now visits Japan each year. 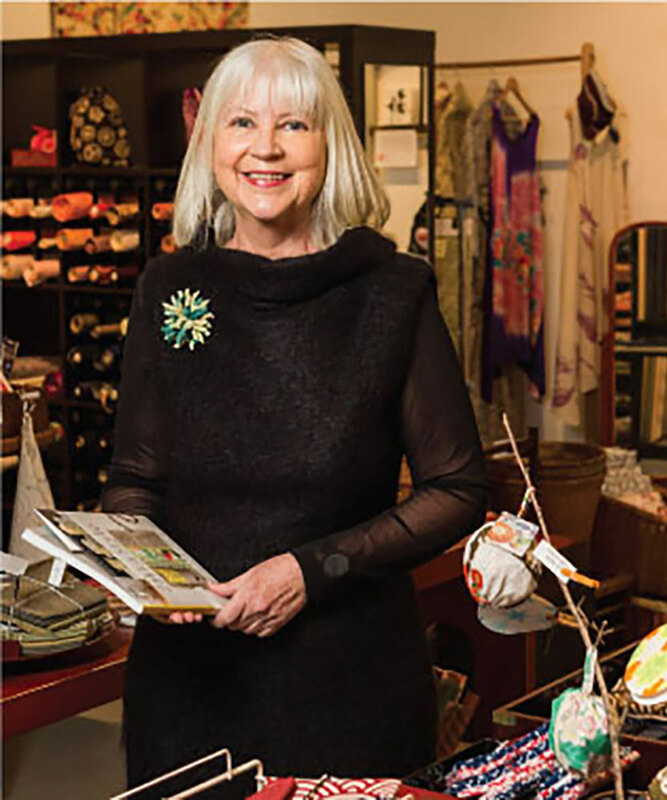 These buying and research trips for Kimono House enable us to provide our customers with a wide variety of hand-selected new and vintage Japanese textiles and craft supplies. Kimono House also has a range of craft kits designed by Leanne and inspired by traditional Japanese craft. Leanne teaches traditional and contemporary Japanese craft regularly and classes can be arranged for school incursions, textile and other groups. Presentations or exhibitions of Leanne’s personal collections of Japanese textiles can also be arranged.